The visit of senior executives from Dolce & Gabbana to Havana has sparked great expectations among the Havana authorities since it is expected that the luxury Italian fashion house open an exclusive boutique with over 100 square meters in a century-old building. The Cuban government has reserved a renovated space in the historic center of the colonial city for the company to open its first store. 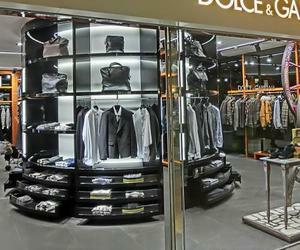 The Italian designers Domenico Dolce and Stefano Gabanna have stores in Europe, South America, North America and Asia. In Europe they have stores in Germany, Austria, Belgium, Spain, France, Greece, Ireland, Italy, UK, Netherlands, Russia, Switzerland and Ukraine. In Asia: Saudi Arabia, South Korea, UAE, China, India, Japan, Kuwait, Lebanon, Singapore, Thailand and Taiwan. While in America their presence comes to the United States, Canada, Mexico, Colombia, Brazil, Panama and Chile. The last country that can join this long list could be Cuba.